I have to credit my longtime friend Dan Plumlee with turning me on to this one. You see, a few months back he showed me a candid head shot of his wife he had taken with a mid-level digital camera that looked like a still shot taken from an HD movie. We were both impressed with the quality. Fast forward to a few days ago when I noted that his wallpaper on his iPhone was this same shot multiplied into 4 smaller version arranged in a square formation and color-washed (my extremely non-technical term for this). 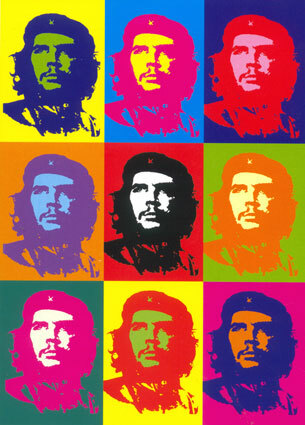 To better conjure up this image, think of the iconic "Warhol"-styled images such as the one linked here. Again, I was very impressed as I know Dan and I to have certain skills and talents, but did not expect to see this from him. I was set at ease, however, when he told me he had used the new PS Mobile application from Adobe to modify the picture stored on his iPhone. He threw me his iPhone for a quick test-drive (even though the download isn't too bad, I hate downloading something just to find that I hate it and am going to delete it a minute later). Another great feature is the ability to save your finished work (doesn't overwrite the existing picture) or use your space online with Adobe to store or retrieve images. While I don't have an account, I can see how this would be beneficial. So, after falling in love with the application (which makes me look like a genius with photographs), I was worried - how much is this going to cost me. I was astounded to find out that Adobe has released this application for free on the App Store. So, it probably goes without saying that this application is now a permanent resident on my iPhone and will continue to be my photo-enhancing secret (though, admittedly, this post almost assures that secret is no more). Why are you still reading this? Get on the App Store or iTunes and pick up PS Mobile or at least go tot he link below for more information. It's free and will make you look like you know how to manipulate those filters and effects you hear the multimedia designers talking about. Just don't try to fool a real guru - they will see right through you... trust me.